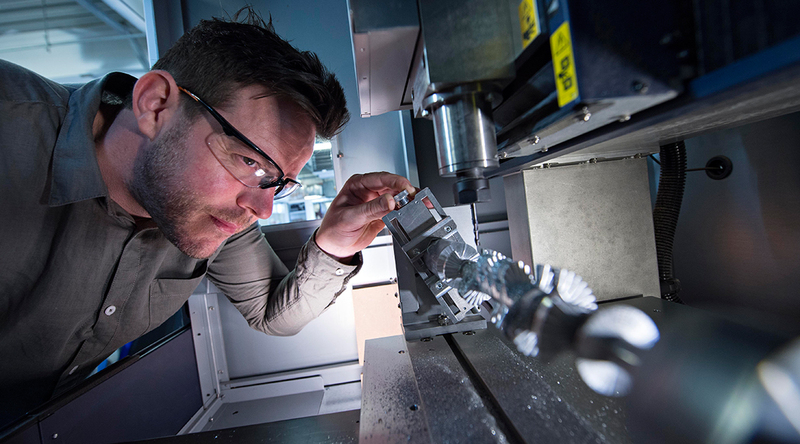 We look to develop new innovative products and processes working across a number of industry sectors including, manufactures, packaging, furniture, sports products, medical devices, architectural modelling and heritage projects. We use our design expertise and technologies to solve practical and strategic business problems; to experiment, innovate, test ideas and to produce new and original solutions. We enable our clients to access new markets, exploit new design and development technologies and reduce the risks of innovation. Designblok works with innovators and entrepreneurs, students and graduates with novel ideas, creative individuals with vision and drive who want to create their own business venture and need access to the latest technologies and facilities. Use our facilities on a ‘pay-as-you-go’ basis to test the feasibility of new ideas, test the market opportunity, build the business potential and build your confidence as an entrepreneur. The University’s business incubation facilities provides advice, support and the chance to work with other creative professionals. Design thinking helps to enable creative thinking to solve problems and identify actions to deliver solutions. Our techniques can be applied to products, processes and services with the aim to stimulate ideas and create opportunities for change and innovation. We work with business, researchers and innovators to exploit creative design methods and design technologies to create value out of new research insights. We aim to shape ideas and transform them into ‘propositions’ that are desirable, useable and feasible.